Curvy 3D 3.2.1 and Blender 2.69. 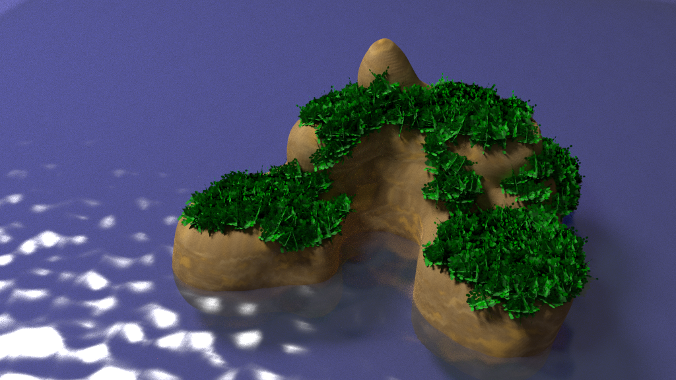 Island modeled in Curvy, Blender particle foliage, Blender Cycles render. That is a cute island. I like the water rendering too.